We go back in time for the next two weeks to a year that changed the world….but were the tunes good? 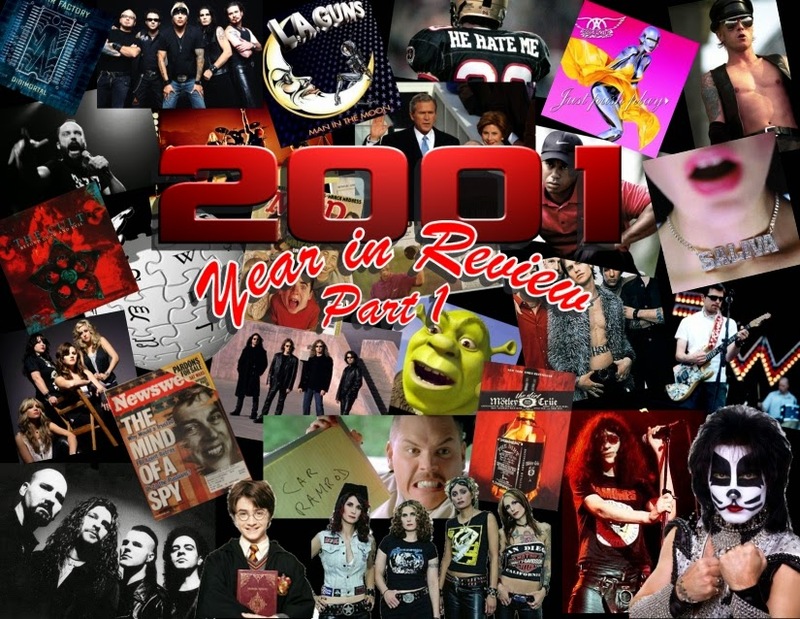 This week Aaron and Chris and present part 1 of their 2001 Year in Review. It doesn’t seem like it’s been almost a decade and a half from 2001 but it has. Many of you are probably thinking “Did anything good come out in 2001?” Well, your hosts this week dug deep and think you’ll nod your head in approval at a number of the gems they unearthed from a year that saw the Billboard charts topped by stuff that, well let’s just say was “ungood.” In part 1 you’ll hear all the info from January to June of 2001 including news on the launch of Wikipedia, Don Felder being fired by The Eagles, Eric Singer being rehired by KISS and putting on the catman makeup, the death of Joey Ramone, the release of Motley Crue’s ‘The Dirt’ and much, much more. You’ll also get classic commercials from the year as well as lots of tracks from artists such as Buckcherry, Aerosmith, Betty Blowtorch, Econoline Crush, Hair of the Dog, Clutch, Weezer, Warrant, and many more.